To carryout activities to bring improvement in an individual and environmental health with the help of community members, by identifying community health problems and to solve them for the community, of the community and by the community is called community health. Rehabilitation: Providing training, skill, knowledge, to people, regarding health. Community health deals with the various health problems of the community and nation. If we know that various diseases are due to unhealthy environment, we start keeping our environment neat and clean. For this, individual effort doesn't work. So, We should launch a campaign to clean the environment by creating public awareness and increasing participation of community people. It is necessary to have the healthy manpower for the development of a country. Healthy manpower is only possible with healthy behaviour. However, a single effort of a person is not adequate. If every member of the community understands the importance of community health, then individual health is easily attained because of the joint effort to fight against the cause of disease. When a man is healthy, he can contribute to the national environment. The community health emphasises that health services must be available in every corner and grassroots level of the country for good health. Health services can be available everywhere if suitable plans are prepared and effectively implemented. If people know about community health, they will realise that a single person cannot solve community health problems. Mobilization of the whole community is essential. The establishment of Paropakar Association, Nepal Red Cross Society, various local clubs, national and international clubs and other institutions are the outcome of the feeling of community effort. The infectious diseases, which are not taken as problems in under -developed countries, are still major health problems in our country. We can get rid of several such diseases by maintaining sanitation in our surrounding, food and water. Cleanliness ensures safety from diseases like diarrhoea, cholera, typhoid, leprosy, etc. infectious diseases are still increasing because of the prevalence of illiteracy, lack of health knowledge and social traditions. Therefore, it can be taken as a serious health problem. Malnutrition is the condition produced because of under-nutrition. Sometimes, over nutrition also causes malnutrition. The main reason behind malnutrition in Nepal is inadequately balanced diet. Malnutrition is the consequence of Nepal’s geographical features, poverty, illiteracy, social customs and traditions, the inefficiency of health services and prevalence of communicable diseases. Due to the transportation problem, foodstuff produced in the Teraiis not easily available to the people in different parts of Nepal. Cultural traditions are also responsible for the malnutrition in Terai. Various diseases easily affect malnourished people hindering their physical and mental development. Malnutrition affects especially growing children. Consequently, infant and child mortality rate are still high in our country. One of the major health problems of Nepal is high infant mortality rate. Owing to infant mortality, parents are in doubt in the survival of their children. Consequently, they produce more children for possible compensation. This leads to population growth and problems in proper care for mothers and children. High maternal mortality rate is another major health problem of Nepal. About 500 thousand women die of the complication of pregnancy in a year in the world. About 99% of this death occurs in developing countries like Nepal. The challenge of maternal mortality is more threatening in the developing countries than in the developed ones. Nepal is one of the poorest countries in the world. More than 30% of the people here are living below absolute poverty line. They are hardly able to fulfil their hunger in time. They lack essential clothes and food. They don't get necessary health services and facilities. The overall education and health status of the country are miserable due to the lack of adequate investment in those areas. Because of the poor educational level and high illiteracy in Nepal, the access to health education is very low. Lack of education is the cause of superstitions. Sick people go to Dhami/Jhankri instead of health institutions. It has degraded the health status of people. Because of superstition, many people die of various diseases. If the level of education is improved, many health related problems can be solved easily. Basic health service is inadequate in comparison to the annually increasing population in Nepal. Only 10 to 15% people have been getting health services. Hospitals have not been established according to the need of people. Existing government hospitals are not well-managed. Private hospitals and nursing homes are expensive and available only in major cities. Therefore, the problem of health services is extremely severe in rural areas. Some remote villagers neither see hospitals, nor doctors. In the lack of health services and facilities, people are not acquiring good health. This is another problem in public in Nepal. Among various health problems in Nepal, rapid population growth is very challenging and serious. It causes lack of the facilities for food supply and health services. Apart from this, it creates the problems like diseases, malnutrition and morbidity. One of the major causes health problems in Nepal is typical Nepalese lifestyle. It denotes food habits, tobacco chewing, smoking, alcoholism and hard physical work with little rest in the majority of the people. WHO has explained these things as the causative factors for non-communicable diseases. In Nepalese meal, high content of carbohydrate, spicy food, fried and instant food are included. They cause diabetes and heart diseases. Poor sanitation is another health problem in Nepal. More than one-third of the total households do not have toilets as per the census 2011. Lack of proper management of solid waste and wastewater becomes the cause of communicable diseases. In urban areas, shortage of water is a severe problem in Nepal. Shortage of water creates sanitation problem. The health services and facilities are not adequate in Nepal. Most of the district hospitals lack doctors despite availability. The health institutions are also not adequate and easily accessible to the people in remote villages. Besides, available health institutions are not equipped with the required medicine and equipment. The specialist’s service is even rare. Nepalese societies are rather traditional and have strong faith in religion as well as socio-cultural values and norms. There is high prevalence of social and cultural superstition. Illiterate people believe on Boksi, Dhami-Jhankri, Bhagya (luck), Shrap (curse) of God, Jharfuk, etc. They lose time and money at first and only in severely deteriorated condition of the patient, they seek modern medical treatment. Some of the patients die because of such superstitions. An individual can not solve health problems. Family, community and nation should also try their best. International organisations, too, have to play the vital role in it. The problems are difficult without the cooperation of all of them. An individual is a member of family and community. If he is conscious, he can lead the family and community on the right track. If he undervalues his ability, health problems cannot be solved. He can be a pioneer, and if he succeeds, others will follow him. Therefore, the main responsibility for the solution to health problems lies on his shoulder. If he commits, he will find thousands helping hands to follow him. Similarly, the society or the nation is composed of individuals. If each individual becomes healthy, the entire community and the nation will have healthy people. The role of the family in solving health problems is very important. It is considered as the first school in the process of socialisation and civilisation. The people who are from a good family background can guide the community. When a person initiates solving community health problems with the co-operation of the co-operation of the members of his family, the other families are also inspired. Then, the community will get rid of health problems as a result of joint effort. The betterment of the family health problems like malnutrition, infant and child mortality , etc comes up with achievements for the community. There are various health problems which cannot be prevented only by an individual or a family. Drinking water supply, management of sewage, cleanliness of public places, construction of public toilets, the establishment of hospitals, playgrounds, parks, etc. are the things which a single person or a family cannot do. They all depend on the co-operation and assistance of the society. In this way, a society can play a very significant role for the solution of health problems. Public awareness and environmental sanitation cannot be carried out unless the community operates. The community must find appropriate ways to solve community health problems. To carry out activities to bring improvement in an individual and environmental health with the help of community members by identifying community health problems and to solve them for the community, of the community and by the community is called community health. The community health is important in order to create healthy manpower and environment, for the availability of health services and to develop a feeling of social service. The aspects of health education are preventive, curative, promotive measures and rehabilitation. Hospitals are categorised into districts (25-30 beds), zonal (50-150 beds) and regional (150 above). Community health is a process of preventing diseases, prolonging life and promoting health and efficiency through an organized community effort. Write any one importance of community health. Community health helps to create a healthy community. According to the national census 2058, what is the life expectancy of Nepalese people? According to the national census 2058, the life expectancy of Nepalese people is 60.8 years. What % of Nepalese children below five years are malnourished? About 70% of Nepalese children below five years are malnourished. Name the SAARC nation that has lowest infant mortality rate. Sri Lanka has the lowest infant mortality rate. According to the National census 2058, what is the infant mortality rate of Nepal? The infant mortality rate of Nepal according to the National census 2058 is 64 per 1000 live births. According to the national census 2058, what percentage of the Nepalese people are living below poverty line? 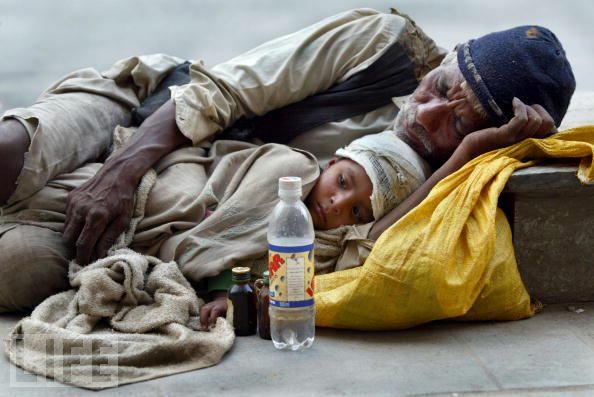 According to the national census 2058, 38% of Nepalese people are living below poverty line. What is the annual population growth rate of Nepal according to the national census 2058? According to the national census 2058, the annual population growth rate of Nepal is 2.1%. "Prevalence of communicable diseases is an eminent health problem of our country". How can we control them? What is the role of community to solve the community health problem? All community member should be on the concern of their personal hygiene and cleanliness. What roles can the family play to solve the major health problems of our country? Family can help to protect and promote the health of child, helpless and old member through proper care. Parents may teach values, beliefs, customs and other qualities to their children for social adjustment. Family can manage the equal and mutual distribution of resources among the family members. Family can provide timely health care and treatment to their members. Family helps to understand the fundamental behavior patterns of the society. "Over growth of population is one of the major problems of Nepal." Explain. When the population increases, it creates problems in food, health and many other things. Rapid population growth is not only on impediment for the socio-economic development of a nation but also an obstacle in raising the standard of living and the social status of an individual. Increasing population causes low economy, unemployment, food shortage, housing problem, low standard of living, inadequate medical and educational facilities and increase in anti-social activities. "Illiteracy and ignorance is one of the major health problem of Nepal ". Explain. Nepal is one of the least developed country. The literacy rate of Nepal is found to be about 40%. Due to the lack of education and also health education, people neglect their health and sanitation, when they get ill, they follow the traditional ways of treatment instead of going to hospital in most of the rural societies. They ignore the general sanitation too. At this situation, different types of communicable diseases may spread around. People don't know how to prevent themselves from such diseases and may be killed. In this way, illiteracy and ignorance has become a major health problem of Nepal. Explain any three health problem of Nepal. Prevalence of infectious diseases: A few studies have shown that about eight percent infectious diseases exist in the country are related to gastrointestinal diseases. These diseases can be prevented by improving the health behavior, especially food habits. The prevalence of infectious diseases is very high in Nepal. Malnutrition: Majority of people of Nepal are not able to make adequate food on the one hand and on the other hand, they are not able to absorb micro-nutrients from their food. More than 70% of children are suffering from malnutrition in Nepal. The problem of malnutrition is not concentrated only on children, but it is also in pregnant women and elders. Because of geographical structure, ignorance, socio-cultural values, lack of health services, etc., the problems of malnutrition are there in Nepal. High infant mortality rate: High infant mortality rate is one of the major problem in Nepal. In 1994, the infant mortality rate was 90 per thousand. This rate dropped to 79 in 1999. The rate is very high as compared to the rate of developed countries. "High infant mortality rate is one of the major health problem of Nepal." Explain. High infant mortality rate is one of the major health problem in Nepal. When it is not sure, whether the children born will die or live, parents tend to give more births than they want. It causes population growth in one hand and on the other hand, both and mother and children may not get proper care, which affects adversely in the health status of both mother and child. In 1994, the infant mortality rate was 90 per thousand. This rate dropped to 79 in 1999. The rate is very high as compared to the rate of developed countries. Clarify the concept of community health and describe its importance briefly. 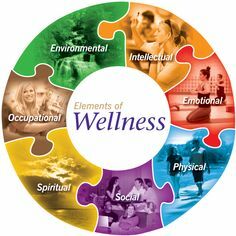 In the modern time, community is a unified and balanced combination of curative, preventive and promotional health. It is a process of preventing diseases, prolonging life and promoting health and efficiency through an organized community effort. The community effort includes environment sanitation, control of common communicable diseases, distribution of health education and health services and so on. Community health is important in solving community health problems and preparing healthy manpower required for the development of a country. Health facilities and services can reach lowest level of the community. It also helps to protect environment through sanitation, care and preservation. Community health practices encourage people's participation in social services. Write the major health problem of Nepal and discuss one measure to solve those problems. Raise awareness: Lack of health education is a major health problem of Nepal. Majority of people here are still uneducated and ignorant. They don't know about the need and importance of good health. They don't know the methods of health improvement. Due to their ignorance they use unsafe drinking water and follow unscientific treatment methods. They are also unaware about the need of personal and environmental sanitation. In such condition, it is essential to run programs to raise awareness among the general public. When awareness level is raised, many diseases can be prevented. Ministry of Health, educational institutions, media, social welfare organization, etc. should take the responsibility of raising public awareness. What is the role of community to solve the community health problem of Nepal? All community members should understand their concern over their personal hygiene and cleanliness. They should emphasize on balance diet. Community should launch various type of awareness programs. It should assist to provide and expand health services and facilities. It may also provide the facilities, manpower, logistic support and possible funds. Community may participate in decision making processes on its health services. "Life style of Nepali people is the major health problem of Nepal." Justify. Health is greatly affected by our life style. Most of Nepalese don't realize the importance of their health. Their food items, cultural practices, work type and other activities are not friendly to their health. Many are superstitious and, thus, cause damage in their health. They don't prefer to scientific methods of treatment. They use unsafe drinking water. They are also not aware of the epidemic and endemic diseases. They use stale items of food of contaminated food as prasad during religious and cultural observations. Their cooking methods is also not hygienic. They don't maintain proper intervals between meals. They are also not serious about balanced diet. They use a lot of fat or oil. They also don't maintain proper cleanliness of their area and don't wear clothes according to climatic condition. How would you change the traditional behaviours of your community which adversely affects health? I would apply the following methods to change the traditional behaviours of my community which advesely affects the health. (1) By spreading awareness to bring positive change in wrong concept of traditional behaviour. (2) By providing formal education and vocational training to the people esp. living in rural areas about the modern concept. (3) By providing proper facilites to the persons who use modern health services. (4) By establishing sufficient number of hospitals and providing enough doctors and nurses. (5) By providing equal rights to both girls and boys for school education. Importance of community health is ______. In Nepal, how many health post are there in each VDC? Which hospital is the oldest hospital of Nepal? Nepal Paropakar Association established on ______. Nepal Paropakar Association has been starting maternity hospital since ______. Nepal Leprosy Relief Association established on ______. Nepal Red Cross Society was established on ______. 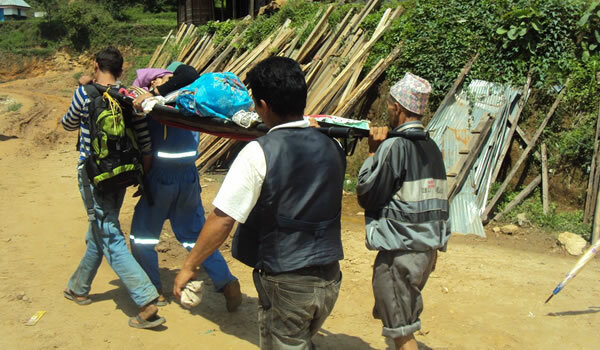 Nepal Red Cross Society has been involving in ______. ______ introduced Hepatitis B vaccination. What is the full form of NATA? How can awarness program help to solve many community health problems? Any Questions on 'Community Health '?